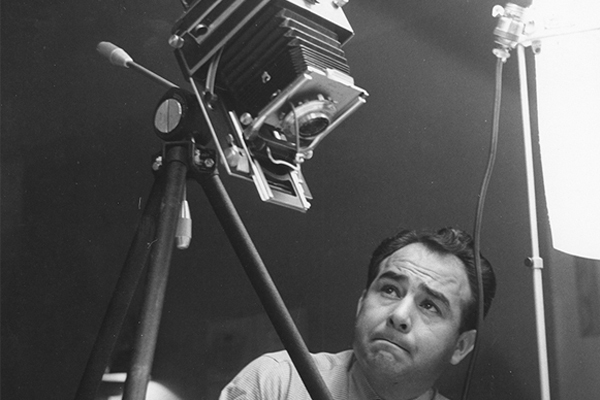 A Photographer’s Journey explores the life and work of Pedro E. Guerrero. Guerrero’s life story is extraordinary, and in many ways classically American. Born and raised in Mesa, Arizona, where he attended “Mexican Only” segregated schools, Guerrero went on to serve in the Second World War, and became a major interpreter of modernist architecture and sculpture of the 1940s, ‘50s and ‘60s. Guerrero’s photographs provide an insider’s look into three iconic American artists of the 20th century: Frank Lloyd Wright, Alexander Calder and Louise Nevelson. With his images, Guerrero reveals the artists’ personalities and their creative process. A Photographer’s Journey is as much a portrait of the photographer as it is a panorama of the times, places and people Guerrero encountered, in a career that spanned more than 70 years.